How do I connect a 3rd 4K monitor to my 2013 Mac Pro? the HDMI port (Bus 0) a thunderbolt port with a TB->HDMI adapter (Bus 1) Before I simply buy a third monitor and adapter, is it as easy as that? FYI, I tried a 3rd monitor that wasn't 4k and it didn't fire up/get recognized. I read somewhere on Apple's site that once you have one 4K monitor connected you need all of them to be 4K. 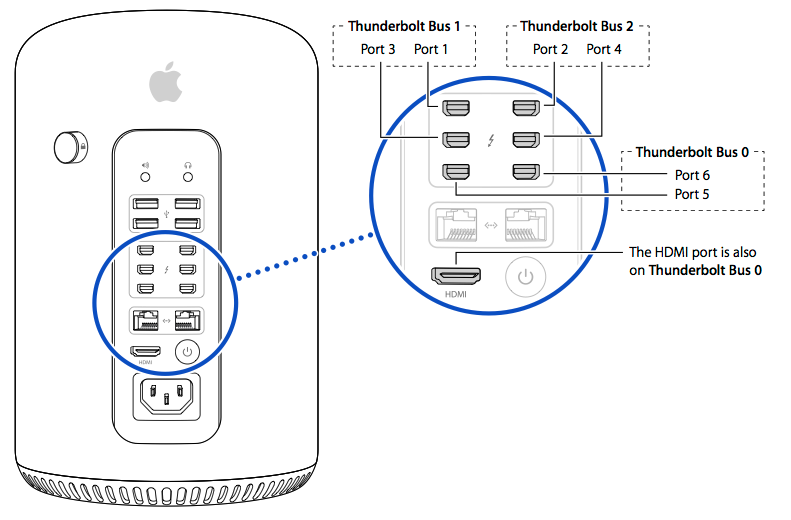 The trick for the third display on Mac Pro is to use 2 Thunderbolt and one HDMI cable to connect each directly to the Mac Pro. Basically each bus can handle 2 normal displays or one 4K display each. You are correct about bus 0 conflicting with the HDMI adapter as well. If you're not on the 2013 Mac Pro - see this thread for options for "unsupported" adapters that might work for lower resolutions or lower refresh rates than the native ones. Not the answer you're looking for? Browse other questions tagged display thunderbolt hdmi 4k . How to enable third monitor in Macbook Pro 15'' mid 2015 model?